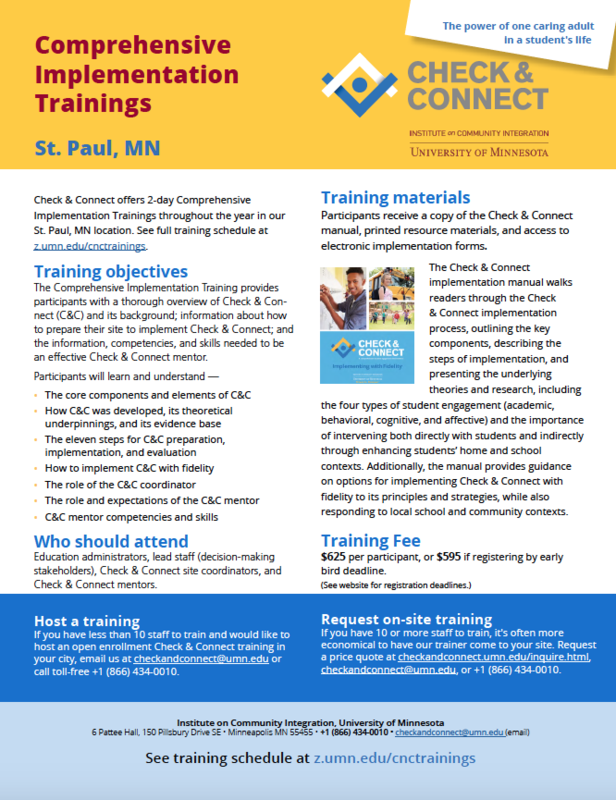 Check & Connect's Comprehensive Implementation Training is a comprehensive 2-day training blending elements of both the Preparation and Implementation Training and the Mentor Training. 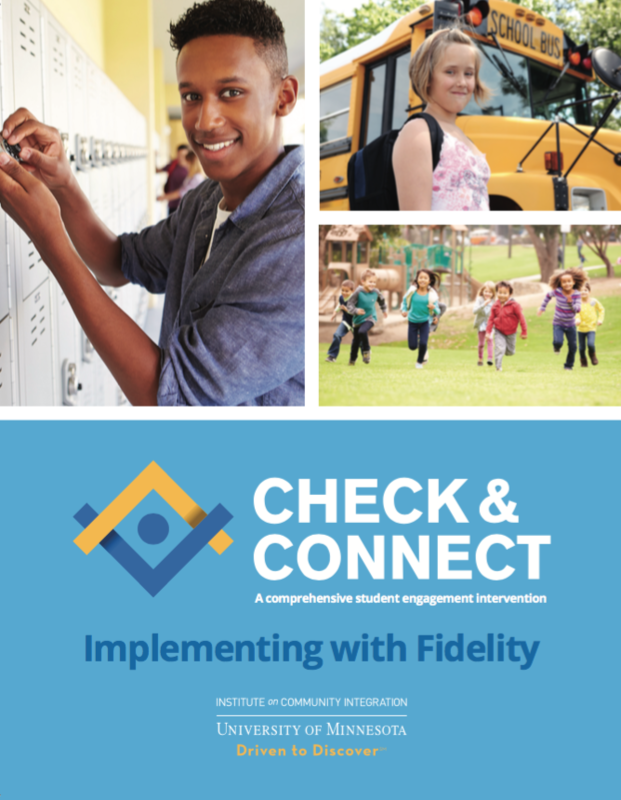 This training provides participants with a thorough overview of Check & Connect and its background; how to prepare their site for implementing Check & Connect; and the information, competencies, and skills needed to be an effective Check & Connect mentor at their site. See more information on the Comprehensive Implementation Training Agenda. The training is designed for education administrators, lead staff (decision-making stakeholders), their site coordinator(s), and assigned Check & Connect mentors. The training will take place at the University of Minnesota Continuing Education and Conference Center, 1890 Buford Ave, St. Paul MN 55108. Complimentary parking will be provided (registered participants will receive parking details via email). Participants are responsible for their own lodging and travel arrangements. The Continuing Education and Conference Center is approximately 11 miles from the Minneapolis/St. Paul airport. It is essential for training participants to be present from start to finish on each day of the training. Please plan your travel accordingly. Dress is casual. The fee for this 2-day training is $625/participant, or $595 if registering before the early bird deadline. Please register online using the link provided. We accept payments by credit card and purchase order. If paying by purchase order, see instructions below. Group registration is allowed. No refunds are provided after the registration deadline. If canceling before the registration deadline a $100 administrative fee will be deducted from your refund. Note that if you are not able to attend, you may substitute another person without incurring the administrative fee by editing your registration here online or contacting us at checkandconnect@umn.edu or 1-866-434-0010. We reserve the right to cancel this event if we do not meet our minimum of 20 registered participants by the registrataion deadline in which case a full refund will be provided. We will notify any registered participants via email or phone within 2 business days following the registration deadline if this event is cancelled.